Japanese and world number one Naomi Osaka has announced her withdrawal from the Qatar Open due to a back injury. It was set to be the first tournament for the player since winning at the Australian Open where she won back-to-back Grand Slam titles. Talking about the withdrawal, Osaka stated that she is sorry that she has to withdraw from Doha she was looking forward to playing and seeing her fans, and that she wishes everyone participating good luck. No more details were released about her current injury, but the 21 year old was forced to withdraw from the Hong King Open in October 2018 because of problems affecting her back. Her withdrawal is seen as a blow to officials of Doha, who also announced that her place as the top seed in the tournament would most likely be taken by the player that she recently replaced as world number one, Romanian Simona Halep. 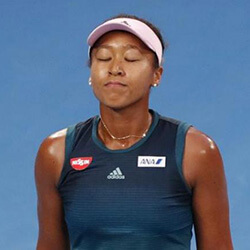 Osaka, the US Open and Australian Open champion beat Czech start Petra Kvitova, the winner from last year Qatar Open, in three sets while playing in Melbourne, and claimed her second Grand Slam title after an upset to Serena Williams at Flushing Meadows. Along with Osaka, North American Coco Vandewegh has also withdrawn from the Qatar Open due to a continuing ankle injury. Current world number three Simona Halep, Angelique Kerber, Kiki Bertens, and Karolina Pliskova are all set to take place in the upcoming tournament. Simona Halep has missed the opportunity to take up the mantle of world number one after she lost 7-5 6-1 to Karolina Pliskova during the semi finals of the Miami …. British Johanna Konta and Cameron Norrie won at the Mexican Open and have advanced to the second round. 23 year old Norrie defeated Japanese Yoshihito Nishioka 6-2 2-6 6-2, whole …. 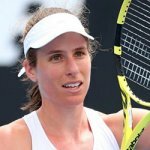 Johanna Konta has advanced in the Australian Open after beating home player Ajla Tomljanovic with a huge three-set in Melbourne. 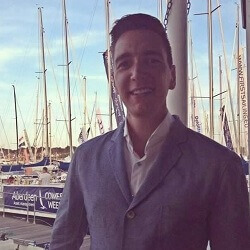 The 27-year-old is the current British number one, and won …. 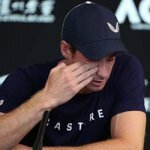 British Andy Murray has publicly announced his retirement from his professional career, saying that he intends to stop playing after Wimbledon if possible, but added that he may only make …. 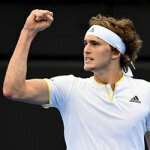 Alexander Zverev has upset Novak Djokovic to claim the biggest title of his career so far, earning a 6-4, 6-3 victory during the ATP Finals. The 21-year-old has become the ….